Electric car battery sales are projected to hit $60 billion by 2030, and Germany wants to grab the lead. That will be a tall wall to climb, with Chinese, Korean, and Japanese firms dominating the space so far. In November, the German government announced a €1 billion ($1.12 billion) fund for German companies to develop and build battery cells. It’s part of the country’s “National Industrial Strategy 2030,” unveiled in February, which voices concern that Asian battery makers will dominate electric vehicles and autonomous driving of the future. Chinese firms dominate the market for now, led by Contemporary Amperex Technology Co. Limited (CATL) and Build Your Dreams (BYD), whose rise was fostered by state subsidies for Chinese electric carmakers. China is expected to control 70% of the market in the next two years. Japanese conglomerate Panasonic has held its own share of the market, with Tesla and Toyota as clients. Korean firms LG Chem and Samsung SDI also play a leading role in the EV battery market. One German critic thinks that the government R&D fund is in the wrong place with its focus on battery cells and its manufacturing process. He thinks the money should be going to the main battery components: cathodes and anodes. “The production value of the cell is about 15%. Sixty percent is just in the materials of cathode, and another 20% is the materials of anodes,” said Ferdinand Dudenhöffer, professor of automotive economics at the University of Duisberg-Essen and a veteran of automakers such as Opel and Porsche. Germany’s BASF, one of the world’s largest chemical companies, might agree with that statement. The company is building a cathode materials factory in Finland, in cooperation with Russian miner Nornickel. The German supplier does agree with the purpose of the government’s program. A BASF company spokesperson said that it has much to do with supporting large-scale production back home in Europe, rather than having to be dependent on imported cell supplies. German automakers have been exploring the question of whether or not to manufacture their own EV batteries for years. 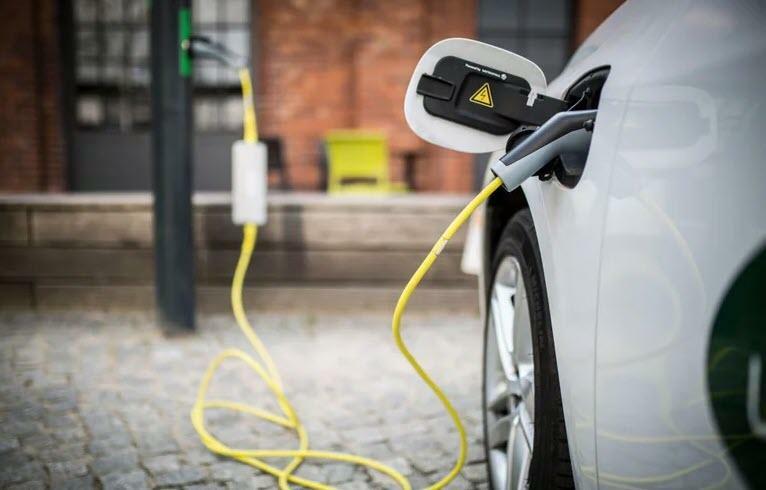 Along with being Tesla-competitive, Volkswagen, Daimler, and BMW have made major commitments to bringing EVs to market and have explored the possibility of building their own battery packs. German auto parts giant Bosch had explored entering the market. After determining building a battery plant would cost about €20 billion ($22.6 billion), the German conglomerate dropped the plan last year, saying that the risk was too high for the size of the needed investment. China’s BYD would like to solve one of the chief problems around keeping its dominant role in electric car sales and battery packs — tapping into enough nickel metal. Securing enough nickel is a major worry for EV makers, a BYD executive said earlier this month. The company would welcome joint ventures that help guarantee supply. China has benefitted greatly from controlling about half of the world’s lithium production. But nickel has been just as important as lithium, maybe even more so. Nickel sulfate powder is a critical ingredient in the cathode formulation for lithium-ion batteries. Analysts expect to see a boom in demand as EV sales continue to increase. “The supply of nickel going forward is a big concern in everybody’s mind,” said Coco Liu, procurement director at BYD. Analysts have warned that the market would be short of nickel if Chinese-led projects in Indonesia fail to deliver. BYD says the JV would present a rich opportunity for a partner companies in supplying the whole EV value chain — from upstream mining to battery materials and finished products. Joint ventures are “a good way to go forward” and can save costs, Liu said. Some companies would disagree with the JV proposal, and see it as a way for China to maintain control over its manufacturing sector. The Chinese government is starting to loosen up on those rigid constraints with electric carmaker Tesla recently winning the first rights to establish its own plant. That “gigafactory” is coming together in Shanghai, one of China’s available free-trade zones announced last year. 46 mins ago Cornelius Rupert T.
20 hours ago Cornelius Rupert T.